When one looks at 1-3 year charts, one can miss the larger picture and mistakenly come to the conclusion that all is well. 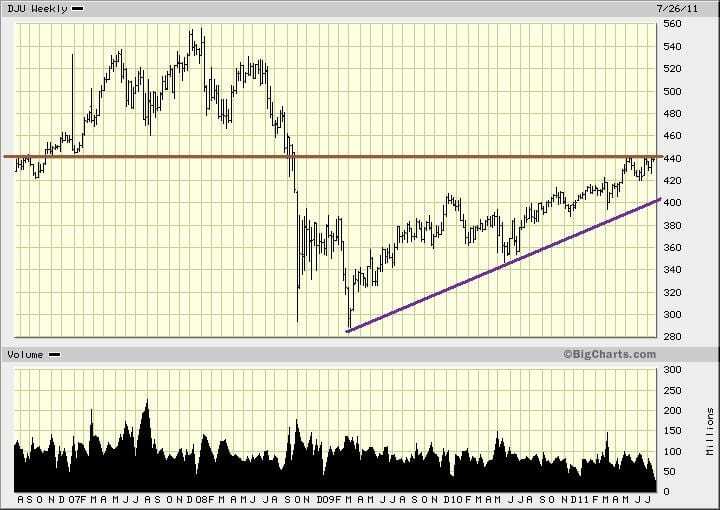 This is why it is imperative that one look at both the long term and short term charts. We at TI have our modified version of the Dow Theory which has proved to incredibly accurate and useful to us over the past 11 years. Our version of the theory places most of the emphasis on the Dow utilities. In essence, the utilities must lead the way up or down and not languish. Everything looks pretty fine when one examines five-year charts of the Dow industrials, and Dow transports, but things change when one looks at the Dow utilities. 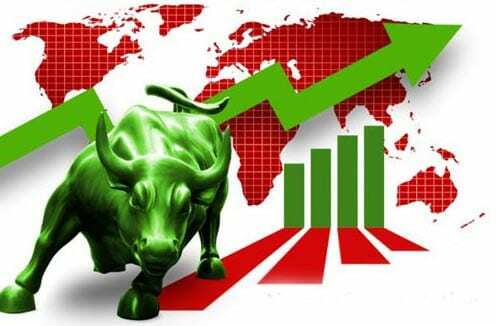 The charts of the Dow industrials and Dow transports both look relatively decent The Dow is roughly 10% away from testing its five-year highs, and the transports are more or less trading at their five years high. The picture is considerably different with the Utilities. While everything looks great in the 1-3 year charts, a five-year chart clearly illustrates that all is not well. The utilities are trading well off their five-year highs; in fact, they would have to mount a stunning rally to test their five-year highs. From their current levels, they would need to rally a whopping 29% to test their five-year highs. Instead of leading, the utilities are clearly languishing. The fact that the utilities have not even managed to trade past their Nov-Dec 2008 lows illustrates how weak they are. The utilities are clearly indicating that the long-term outlook is rather dire. They have not even managed to trade past their Nov-Dec 2008 lows. Instead of leading the way up it appears that they are languishing. Perhaps their inability to break out suggests that they might be leading the way down. 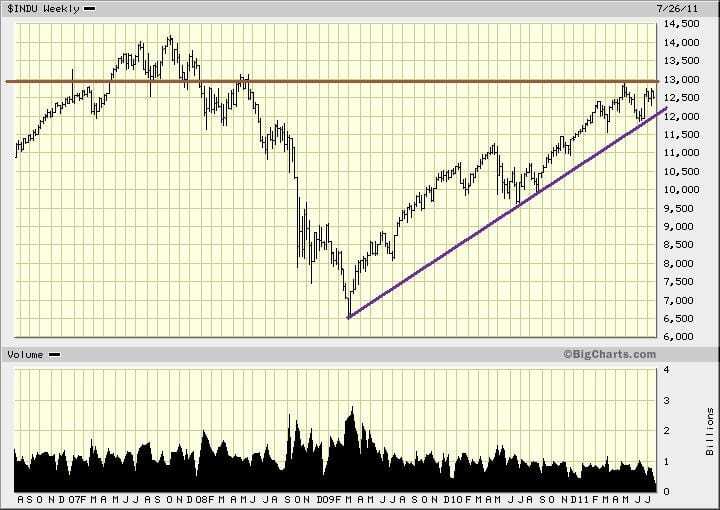 Could this be a harbinger of what lies in store for the markets in the months to come? We, therefore, feel that there is another stronger washout move necessary to flush out the eager bulls before a bottom is in place. 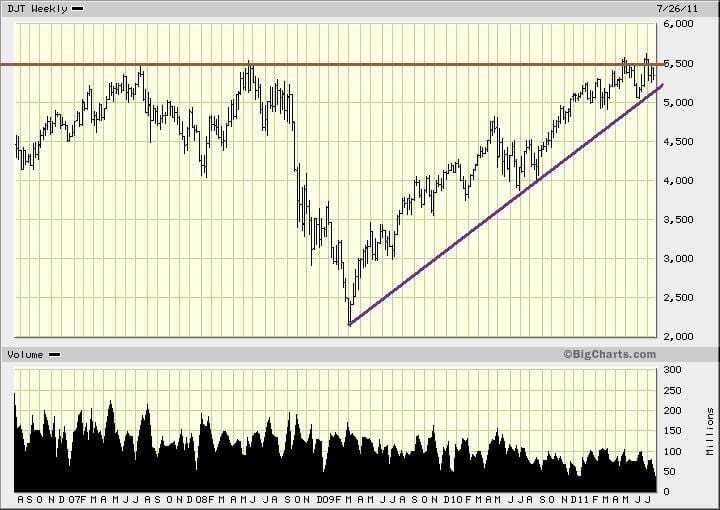 The five-year chart of the NASDAQ illustrates that is has run into a zone of rather formidable resistance and it appears to have put in a triple top formation. 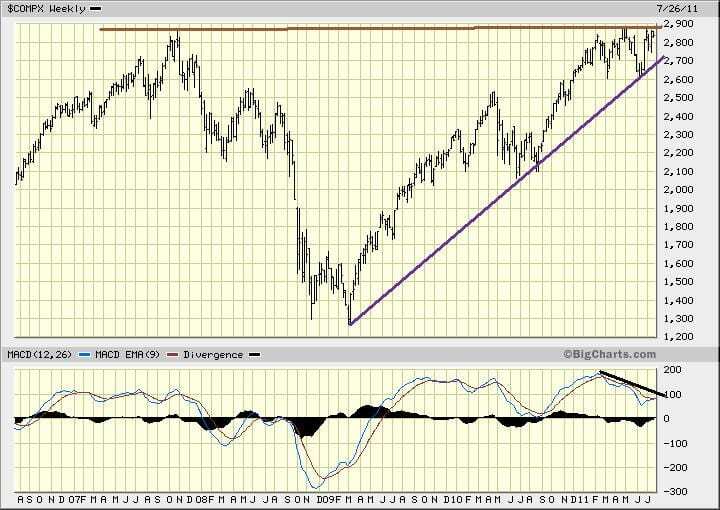 Triple top formations are usually followed with substantial declines. Also, a series of negative divergence signals have been generated; our technical indicators confirmed none of the recent new highs. Things are certainly heating up, and it will be interesting to see where the markets are trading 3, 6 and 12 months from today. However, for now, we feel that the markets still need to let out a bit more steam before a sustainable bottom is in place.